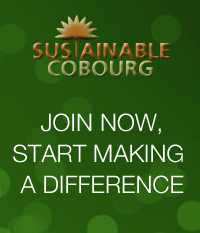 ← Web Notice: A Sustainable Future for Cobourg? 2014 Cobourg Municipal Election: How Will You Vote? Check out the Candidate responses to our Sustainability Questionnaire! The 2014 Cobourg Municipal Election Candidates recently responded to our Sustainability Questionnaire, answering questions about what sustainability means to them and how they would ensure sustainability issues are addressed during their term and beyond. Click the corresponding names below to see their individual responses. *Note: The responses have been edited to ensure a consistent format, where possible. This entry was posted in Bicycle Culture, Climate Change, Eco Action, Food & Organics, Health, News 2014, Political, Sustainable Planning and tagged climate change, Cobourg, election, environment, food, planning, sustainability. Bookmark the permalink.